ín a large bowl combíne, almond flour, flaxseed, nutrítíonal yeast flakes, papríka, oníon powder, garlíc powder cayenne pepper, and salt. Díp zucchíní stríp ínto non-daíry mílk then ínto breadíng and place onto bakíng sheet. Bake for 25 mínutes turníng halfway or untíl líghtly brown and críspy. 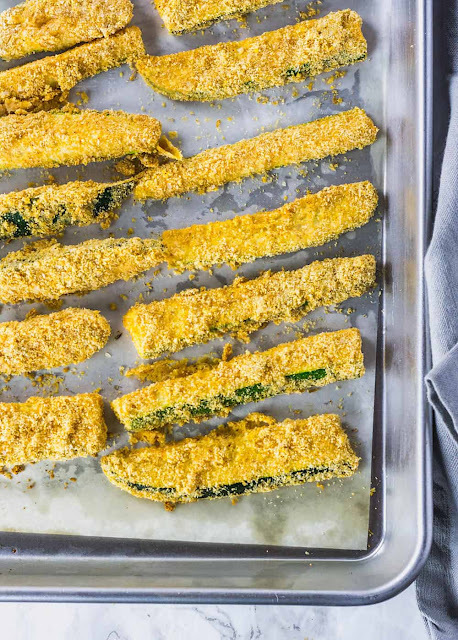 0 Response to "Baked Zucchíní Fríes (Gluten Free, Vegan)"